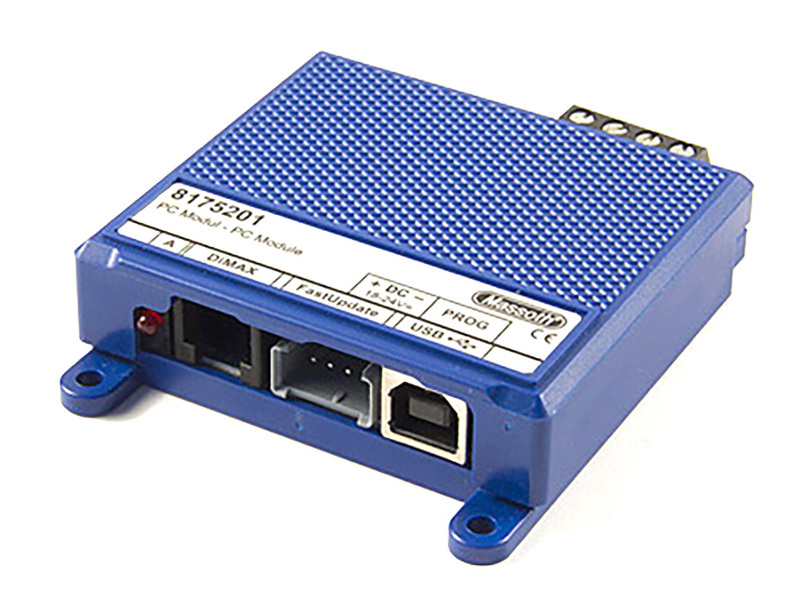 The Massoth DiMAX PC Module offers an easy way to update the firmware of Massoth DiMAX Digital bus components such as the Navigator, the feedback module, and the RC receiver. It may also be used for programming Massoth decoders or updating their firmware. The module is required for updating the firmware and changing the sound of Massoth sound decoders. When used in conjunction with Massoth's DCC programmer software, the module can read CV values from and write CV values to all kinds of DCC components e.g. digital decoders, sound decoders, and other digital components. A USB cable to connect the Module to PC is provided; a SUSI fast-update cable for updating decoders equipped with a SUSI interface is also provided. 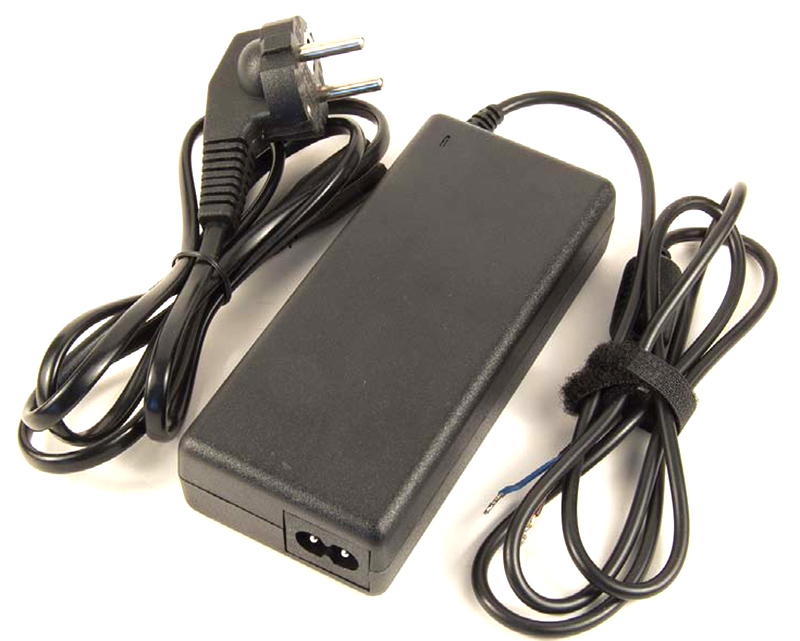 A 16-24V DC power supply (2 Amps minimum) is required to operate the module. The Massoth DiMAX PC Module USB requires a 16-24V DC power supply for proper operation; the Massoth switching power supply 19V is well suited for the task.